An endodontological therapy is a root canal treatment of the tooth. The primary goal is to preserve tooth function. The tooth nerve and pulp which has been damaged as a result of cavities, bacteria, or inflammatory disease is treated. 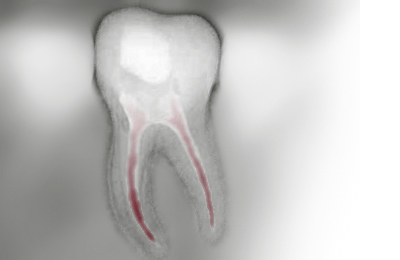 Successful root canals demand larger scale dental intervention. Bacteria and inflamed or dead nerves and blood vessels are removed from the center of your tooth which is then cleansed and disinfected. The empty root canal system is then replenished with a filling material that will prevent re-infection, and sealed. X-rays are prepared during and after the procedure to guide the treatment, document and measure success.